Rescue Dogs 101 – Creating Your Perfect Family Dog – Adopt. Love. Train. Guiding you in your journey of adopting and raising a rescue dog every step of the way. Is it possible to adopt the perfect dog? A dog that’s awesome with your kids? A dog that’s happy and healthy? Nobody wants to adopt a dog with aggression or behavior issues. Or a dog that is unknowingly sick. This could cost you thousands of dollars in vet care or dog behavior training. I’ve seen it happen way too many times… a family brings home a dog only to find out a few days later the dog has Lymes disease, hip dysplasia or resource guarding issues. Get your Free Dog Adoption Worksheet Now! You Brought Your Rescue Dog Home... Now What? Is your new rescue dog struggling to adjust to his new home? You thought he was potty trained, but when you brought him home, he's peeing all over the house? I want to help you in your entire dog journey because I care deeply about you and your dog! It’s important to know there are no perfect dogs, just like there are no perfect humans. If you take a moment to tell me where you are on your dog journey, and what is important to you, I will be able to customize where you should start, based on your unique situation. 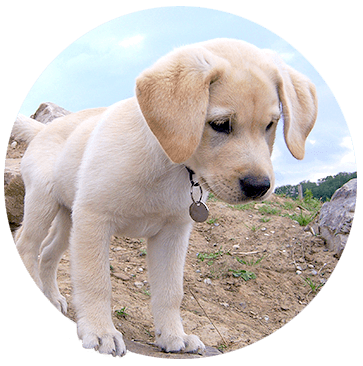 The Rescue Dogs 101 offers an Exclusive Library of free must-have resources to help you in your dog journey. Includes 10+ PDF downloads to help keep your dog happy and healthy every day.